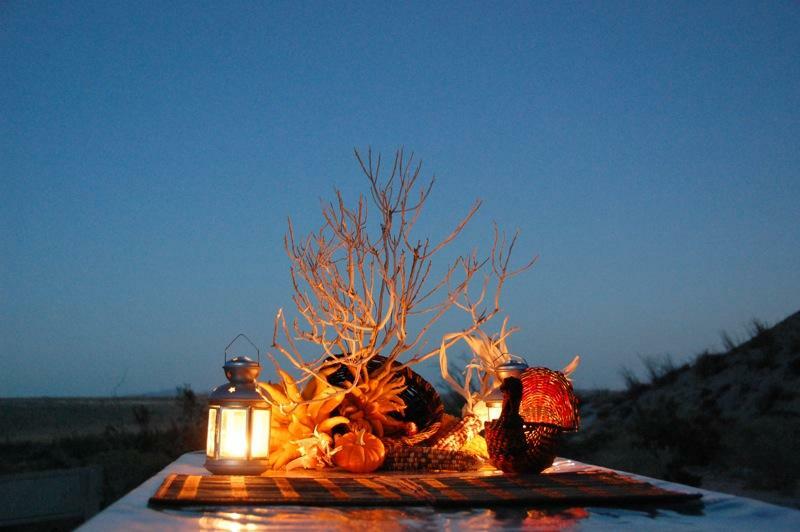 Each year beginning in October our family begins to play holiday theme music to carry us through the holiday season. It starts with October Music and ends with Christmas Music. 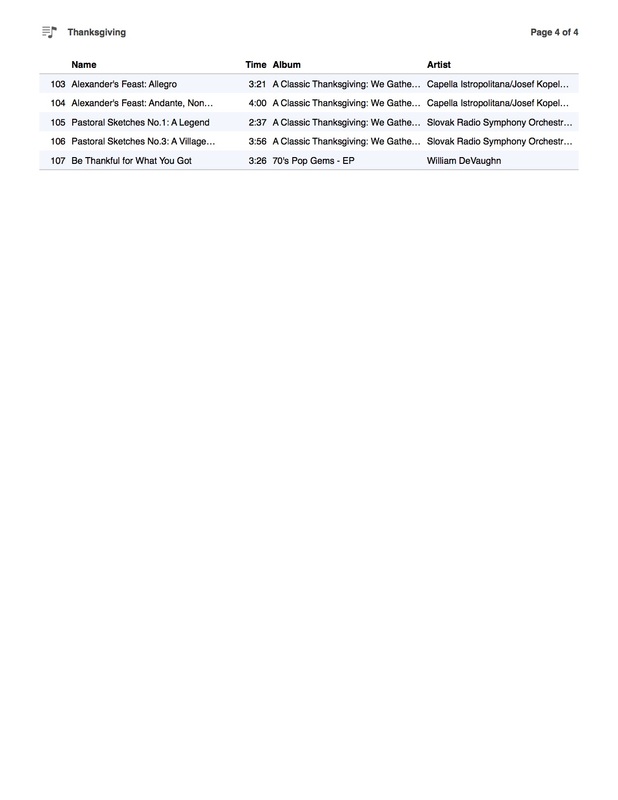 In between those is what we call Thanksgiving Music (of course:)). 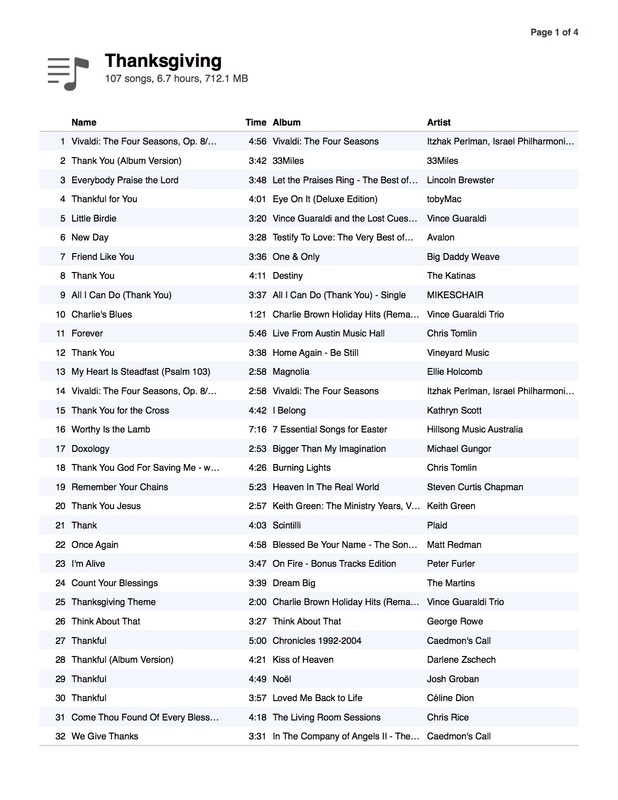 Over the years this list has evolved with songs being added and others we took off because we could bear them no longer. 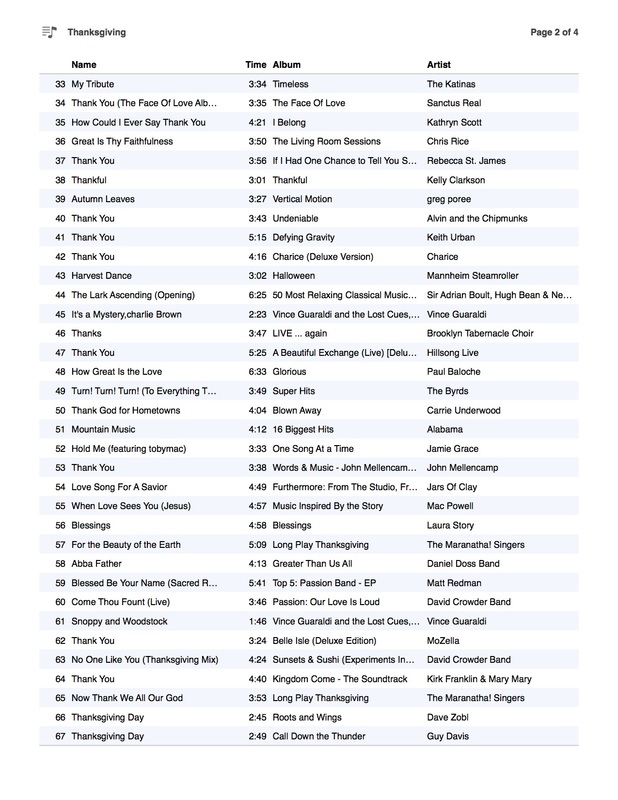 If you are looking for songs to play during this Thanksgiving season below is a list you can choose from. At the bottom there is a link to the PDF version of this list. Also, if you have any suggestions of music we could add to our list please let me know by commenting below. 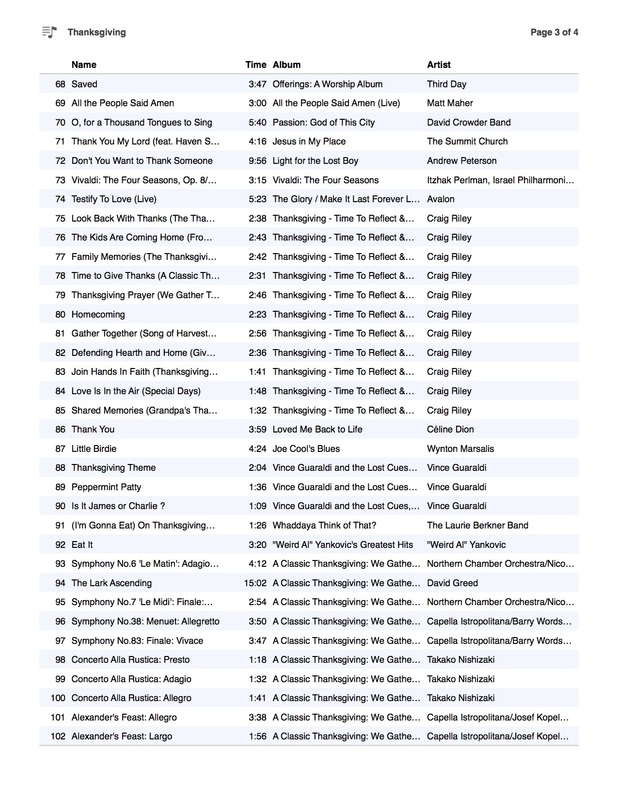 You will not find a list of Thanksgiving Music this extensive any where else! NextI’m not Wrestling with you!